Hello friends! 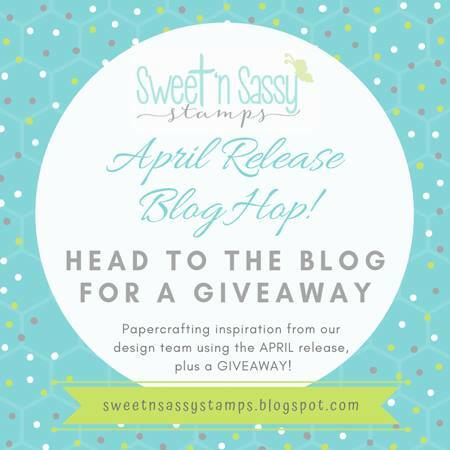 Welcome to the SNSS April 2019 Release Blog Hop! 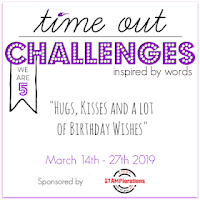 We're so excited about the new stamps available in the Sweet 'n Sassy Stamps Store this month and can't wait to share the projects we've been working on for you. Hop along to the blogs linked below for all sorts of paper crafting inspiration using the April stamp sets. 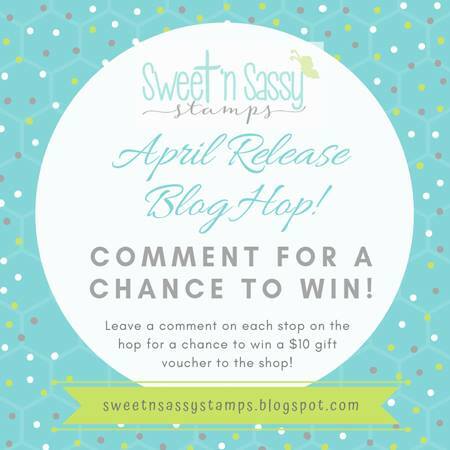 Leave a little comment love on each stop along the way for a chance to win a $10 gift voucher to the Sweet 'n Sassy Stamps Store. 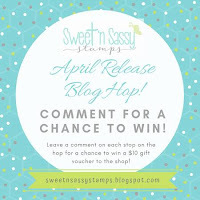 The winner will be announced on the SNSS Blog on Tuesday, April 23rd. 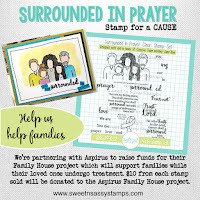 My first project was made with the new Surrounded in Prayer and Cheerful Hexies stamp sets. Creative Nugget: The image from Surrounded in Prayer was colored with Copic Markers. Distress Oxide Inks were smooshed onto a piece of mixed media paper to create a background. Streaks of white gesso were applied to the background with a credit card. 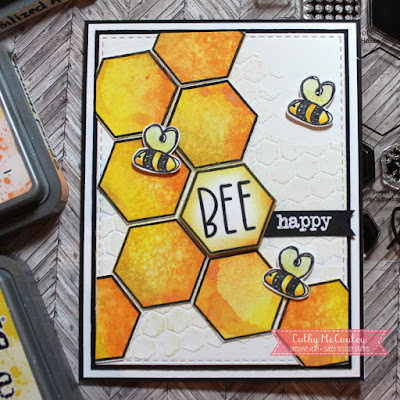 The Cheerful Hexies were then randomly stamped using the Oxide Inks. A rectangle die was used to cut an aperture from the panel which was then popped up over the group of people. A thin frame was also cut using rectangle dies. The sentiment was cut with a stitched rectangle die. Sequins and an organdy bow were added to finish the card. My second fun project also used the Cheerful Hexies stamp set. Creative Nugget: Texture paste was applied to a mixed media panel through a honeycomb stencil. Distress Oxide Inks were smooshed onto a mixed media panel. The outline hexie was stamped multiple times onto the panel. The hexes were cut out and popped onto the background. The Sunshine Girl Alpha was used to stamp the word "BEE" in one of the hexagons. The cute little bees are from the Scribble Flowers stamp set. "Happy" is from the Cheerful Hexies set and was white embossed on a hand-cut black banner. Thanks so much for joining us today...hope you were inspired! Don't forget to leave your comment before continuing on you way to be eligible for the prize. Hello, friends! 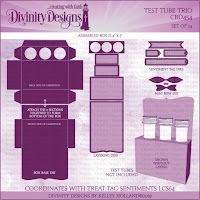 It's time again for another Divinity Designs Release...and this is not an April Fool's joke! 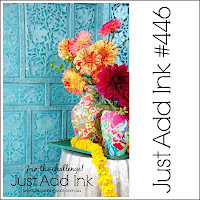 The April release is awesome and includes two floral stamp sets, a stencil and embossing folder for mixed media projects, plenty of new die sets, including one for piecing together a quilt and one to construct an explosion box and a gorgeous paper pad. Today I am sharing two projects using some of the new products. My first sample is a Tri-Fold Card featuring some of the beautiful papers from the Pretty Pink Peonies Collection and the Grandmother's Heart stamp set. Creative Nugget: The peony on the center panel was colored with Copic Markers. The sentiment was stamped on a Filigree Circle and mounted onto a circle cut with a Circle Die. If you are like me...you have a hard time getting rid of those little strips of paper. I decided to use some of those strips for some paper ribbon and bows to decorate some of the other panels. The bows were cut with the Small Bow Dies and the bows were added to finish the card. My second project also uses papers from the Pretty Pink Peonies Collection and the Quilted Triangles Die. 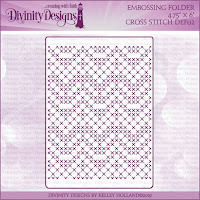 Creative Nugget: The Cross Stitched Embossing Folder was used to emboss the front of the card. 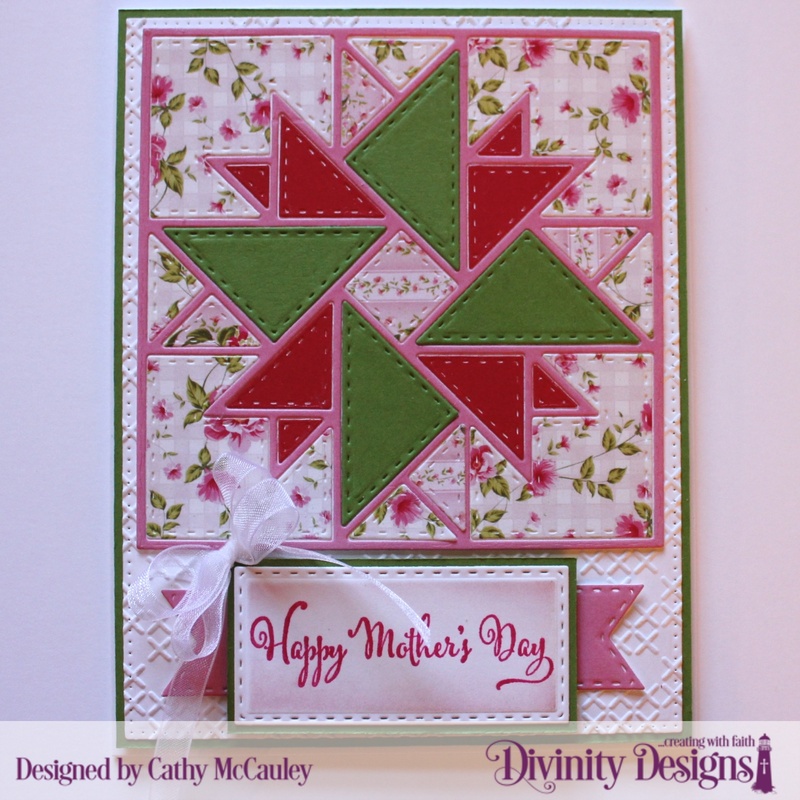 Seven different papers were cut with the Quilted Triangles Die and the pieces placed back into the quilt frames. 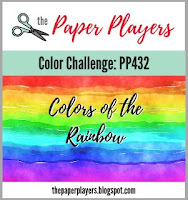 This gave me seven different quilt squares, six of which can be used on other cards so keep a lookout for more cards coming in future posts. The sentiment from the Daughter's Best Friend stamp set was embossed on a panel cut with one of the Double Stitched Rectangle Dies and mounted to a Double Stitched Pennant Flag. A little organdy bow was added to finish the card. 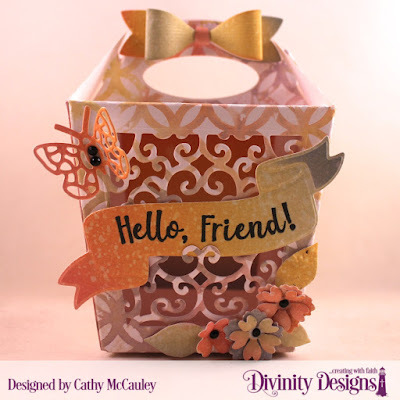 Thanks so much for stopping by...Be sure to pop on over to the Divinity Designs Blog to check out all of the beautiful projects creative by the Divinity Divas using the new April release. Good morning, friends...happy Friday! Today we are taking another look at the Divinity Designs March 2019 Release. I was able to use some of the new Divinity Designs products to make a birthday card and treat for my sister-in-law. First for my card which features the Birthday Stamp/Die Duo. 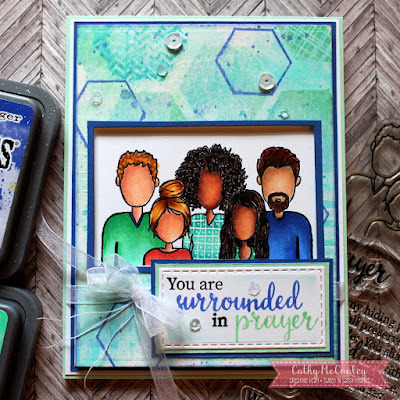 Creative Nugget: The card front was cut with a Pierced Rectangle Die and impressed with the Circles Stencil...love that you can add a bit of texture with the stencils. Papers from the Birthday Bash Collection were cut with one of Tri-Shutter Layers Dies and layered onto paper from the Birthday Brights Paper Pad. The Birthday Balloon Dies and Birthday from the Birthday Stamp/Die Duo were also cut from the same paper pad. The sentiment was embossed onto a tag cut with one of the Treat Tags Dies. Bows were made with twine and added to finish the card. The Test Tube Trio Dies were used to create a matching treat holder filled with different kinds of M&M's...this should be a big hit with my SIL! 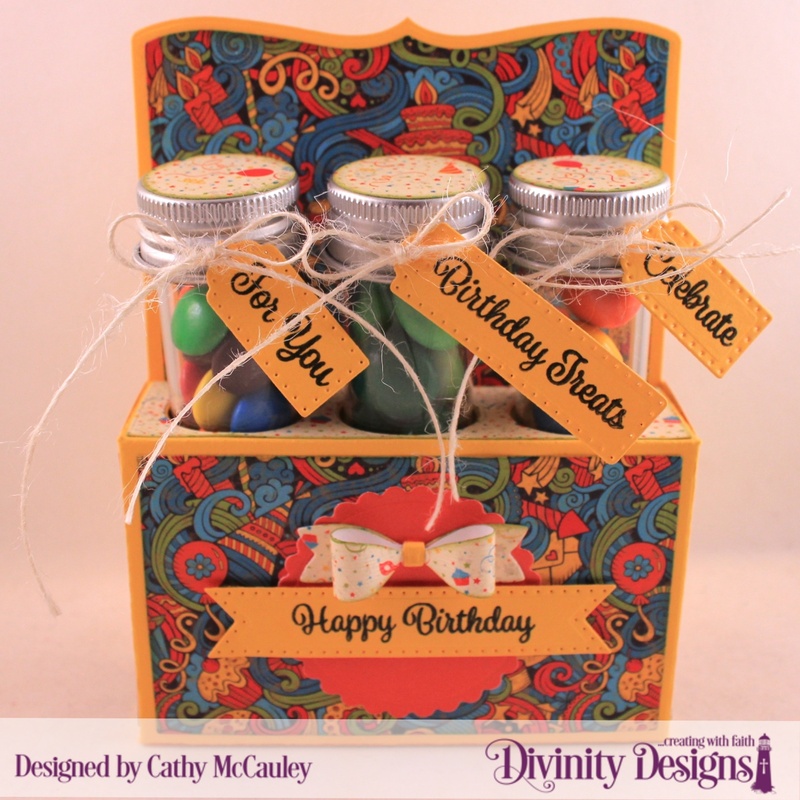 Creative Nugget: Papers from the Birthday Bash Collection and Birthday Brights Paper Pad were used on the layers. 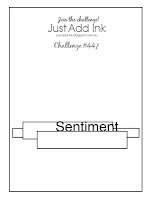 The sentiments from the Treat Tag Sentiments 3 stamp set were embossed on the tags which were tied onto each of the Test Tubes. A Scalloped Circle Die was also used to cut a panel for the birthday tag and small bow to finish the Test Tube Treat Holder. 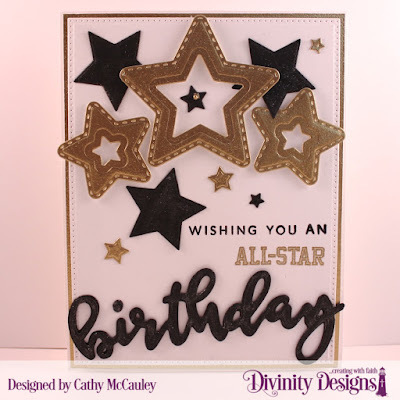 Be sure to check out the Divinity Designs Blog to see more beautiful samples created by the Divinity Divas using products from the March Release! Thanks so much for stopping by...Have a wonderful weekend! Hello friends! 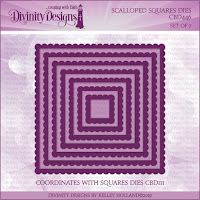 It's time for another Two for Tuesday feature over at the Divinity Designs Blog. 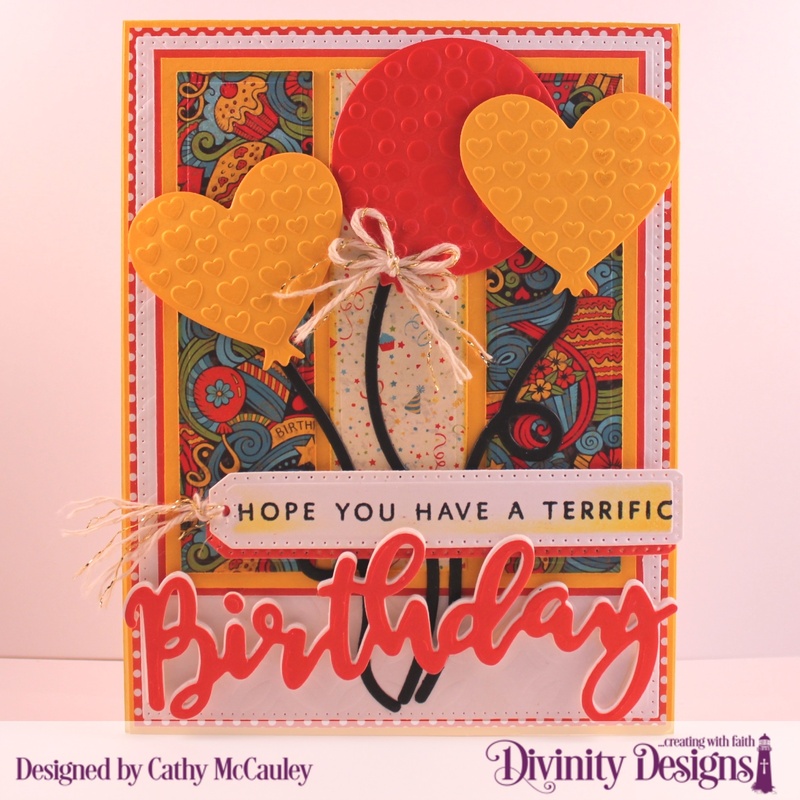 Today I am using the new Birthday Stamp/Die Duo along with some other goodies from the Divinity Designs Store for my two cards. Creative Nugget: Since I didn't have any gold card stock, I decided to make some of my own. After gold embossing several sheets of card stock, Sparkling Star Dies and Double Stitched Star Dies were used to cut several gold and black stars. The stars were arranged on a panel cut with a Pierced Rectangle Die. A sentiment from the Birthday Stamp/Die Duo was stamped and embossed in black and birthday was cut three times and stacked. 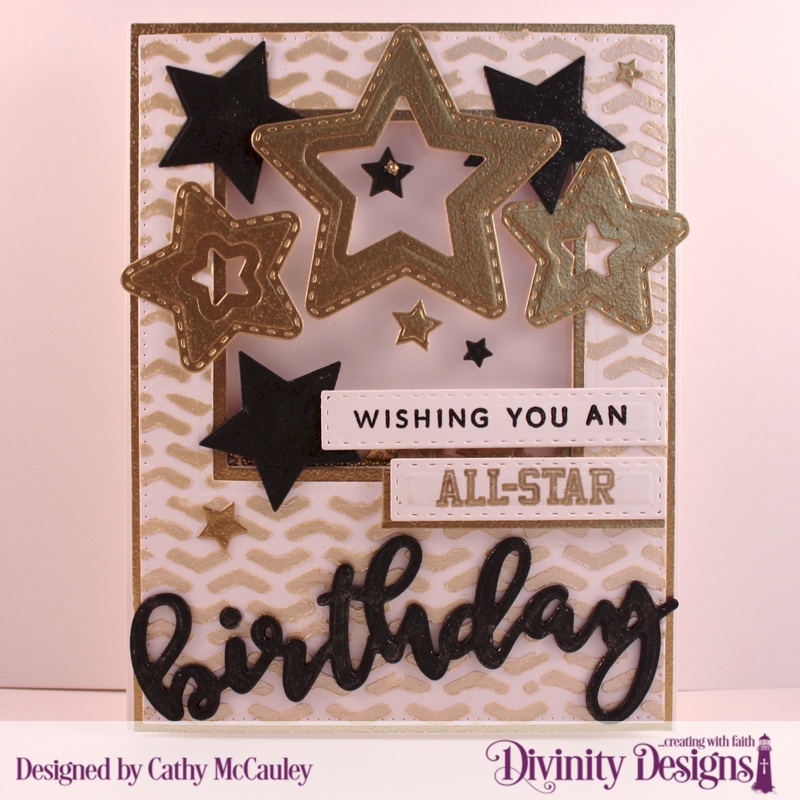 The All-Star sentiment is from the All-Star Jersey stamp set and was gold embossed to finish the card. Creative Nugget: A Pierced Square Die and a Square Die were used to cut a window from the background panel for the shaker card. Nuvo Mousse was applied through the Arrows Stencil with a palette knife to this panel for the stepped up version. 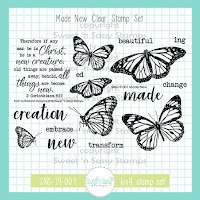 The little sentiments were stamped on pieces cut with the Log Cabin Die...these pieces are perfect for stamping small sentiments! 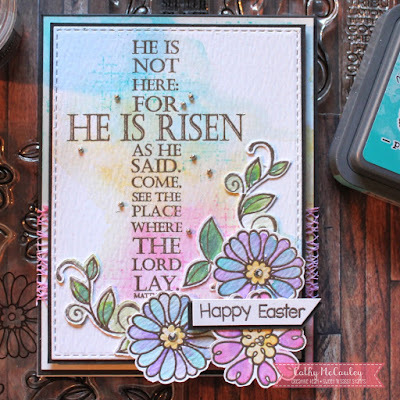 Be sure to hop on over to the Divinity Designs Blog to see more Two for Tuesday creations! Hello friends! Another snowy morning here, so more time to stamp! 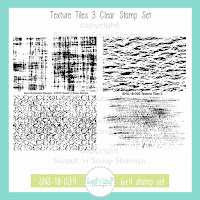 Today I grabbed some new stamps by Sweet 'n Sassy Stamps to use for the current Freshly Made Sketch. 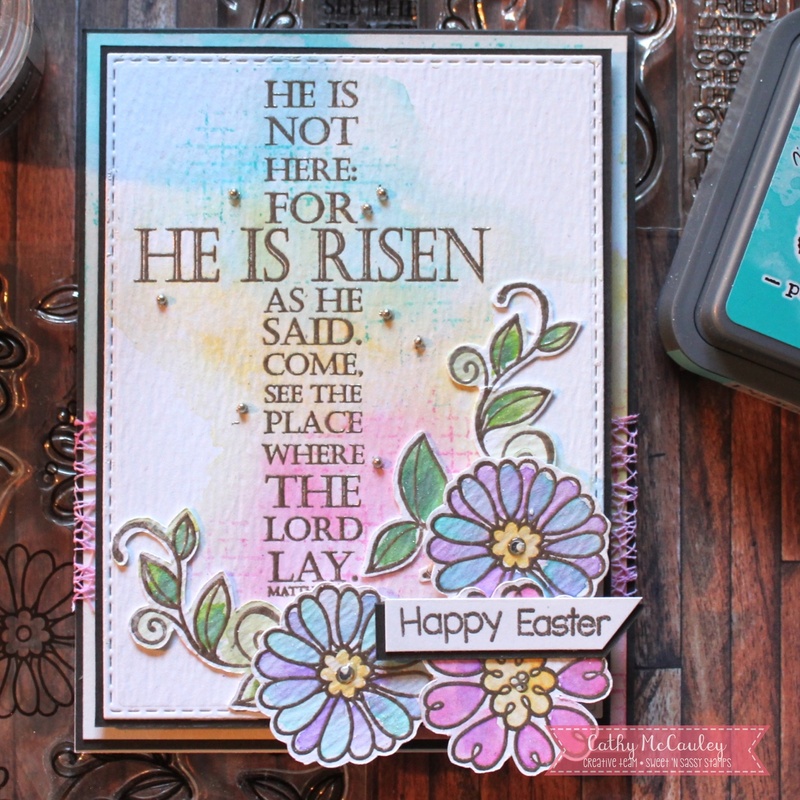 Creative Nugget: I started by embossing the Scripture Cross with Platinum Embossing Powder on watercolor paper cut with a TE Stitched Rectangle Die. Distress Oxide Inks were used for a light watercolor wash around the cross. Texture was added using one of the stamps from the Texture Tiles 1 stamp set. The flowers and leaves from the new Doodle Florals stamp set were also Platinum embossed on watercolor paper and watercolored with the Oxide Inks. The flowers and leaves were fussy cut and popped onto the card using foam tape. The little sentiment is from the Victory in Jesus stamp set and was also Platinum embossed. Little gems were added to finish the card. Hello, friends...Happy Friday! 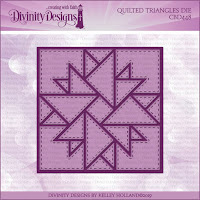 It's time again for another Divinity Designs Release. 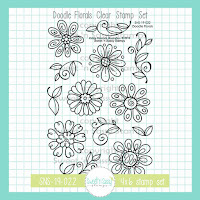 The March release includes two stamp/die duos, dies to make adorable test tube treat holders, stamp sets that coordinate with the treat holders, a Flower Burst Stencil and two more basic shapes scalloped die sets. Today I am sharing two projects using some of the new products. 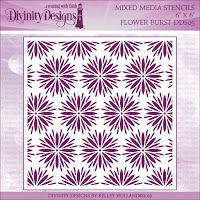 My first sample was made with the new Happy Stamp/Die Duo and the Flower Burst Stencil. Creative Nugget: VersaMark Ink was sponged through the Flower Burst Stencil and Silver Embossing Powder applied and heated on a Pierced Rectangle cut panel. A strip of paper from the Wedding Wishes Paper Pad was stitched to the Flower Burst panel. A frame was cut using Scalloped Square and Pierced Square dies and then silver embossed. The "Happy" die from the Happy Stamp/Die Duo was cut five times and one was silver embossed before stacking them together. One of the sentiments was also silver embossed on a Pierced Banner from the Test Tube Trio die set. The stacked "Happy" was popped onto a Silver embossed heart frame that was cut with the Pierced Heart Die and one of the Layering Hearts Dies. A few silver pearls were added to finish the card. My second project was made using the Test Tube Trio Dies. Creative Nugget: The Test Tube Trio holder was cut and paper from the Wedding Wishes Paper Pad was cut with the layering dies included in the set and adhered to each of the panels before folding and gluing the holder together. 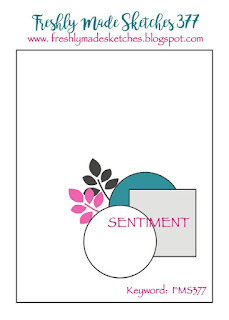 The tags were cut and sentiments from the Treat Tag Sentiments 3 stamp set were white embossed on each tag. The tags were tied onto each treat filled Test Tube. A Pierced Heart Die and a Layering Hearts Die were used to make the heart frame. Another sentiment was white embossed on the pierced banner. The little bow dies were used to make the little bow at the top of the treat holder. 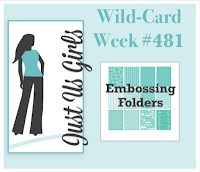 Crafty Gals Corner Challenge #186 - Tag, You're It! 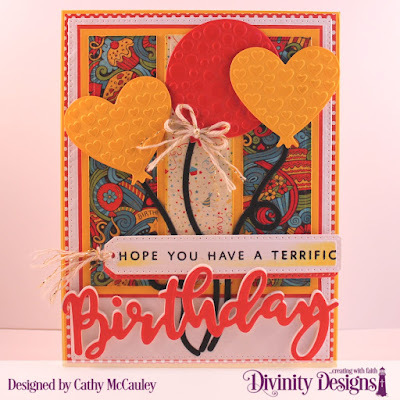 Thanks so much for stopping by...Be sure to pop on over to the Divinity Designs Blog to check out all of the beautiful projects creative by the Divinity Divas using the new March release. Hello, Friends and welcome March! Today I am sharing this card over on the Sweet 'n Sassy Stamps Blog using the new Stamp of the Month set, Doodle Flowers. 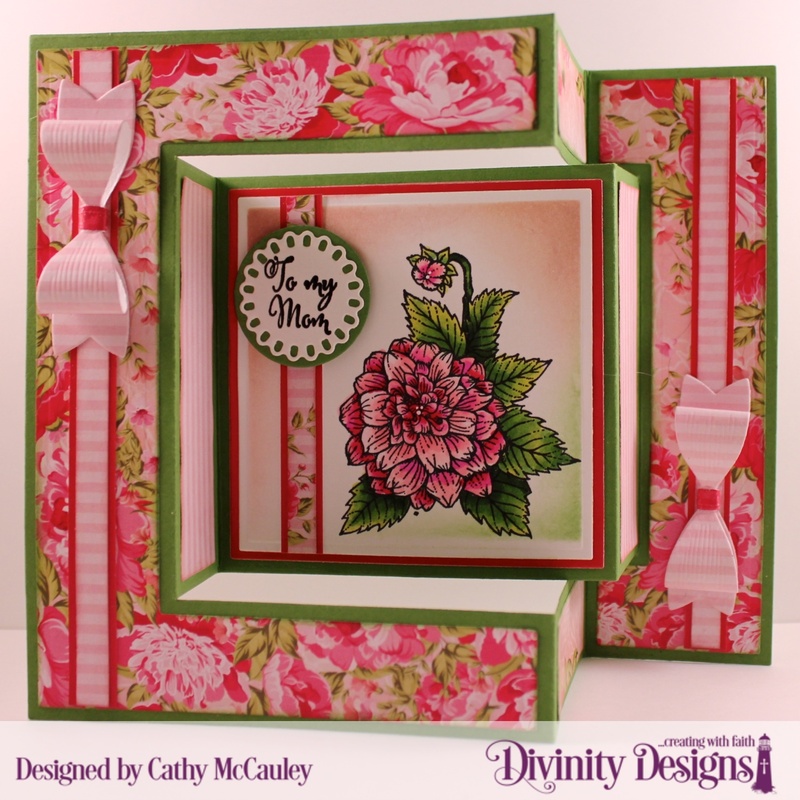 Creative Nugget: The fun flowers are from a new stamp set called Doodle Florals designed by Krista Hamrick. 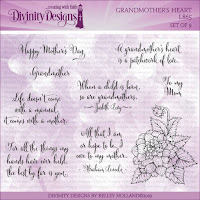 Other stamp sets used on this card include Made New, Texture Tiles 3 and Thoughtful Words. The greens in the Doodle Florals set were stamped around the sentiment and Mermaid Lagoon Distress Ink was sponged around the panel. The panel was then stitched to the background. The flowers and the butterfly from the Made New stamp set were Colored with Copic Markers, cut out and popped onto the card. Hello friends! 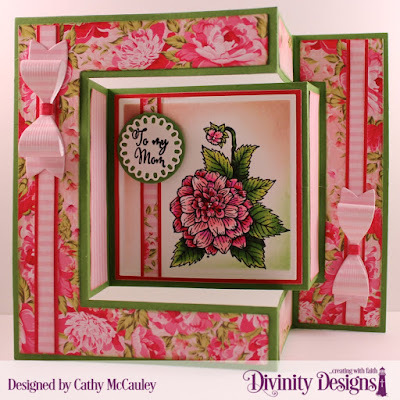 It's time for another Throwback Thursday over at Divinity Designs and the feature for today is the Glorious Gable Box Dies which can be used to make a unique little gift box. Creative Nugget: Distress Oxide inks, Worn Lipstick, Wild Honey, Weathered Wood and Shabby Shutters, were smooshed onto the Circles Stencil, spritzed with water and pressed onto pieces of mixed media paper. The Glorious Gable Box Dies were used to cut the pieces for the box from these papers. Only one of the inserts were used to cut just the front of the box. 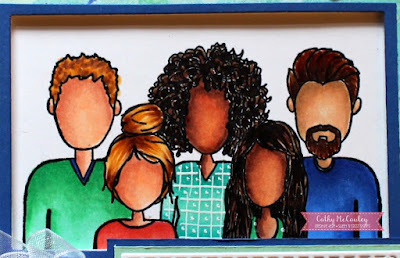 After assembling the box, the same inks were blended onto another piece of mixed media paper. The Small Bow Dies, the Bitty Butterfly Dies and the Bitty Blossoms Dies were used to cut the accents used to decorate the gable box. The sentiment and banner are from the Wavy Words Stamp/Die Duo. A few black pearls were added to the butterfly and the centers of the flowers to balance out the black on the embossed sentiment and finish the gable box. 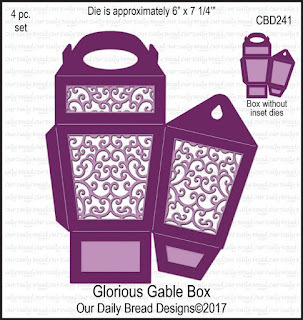 To see more samples using the Glorious Gable Box Dies hop on over to the Divinity Designs Blog.